We’ve fallen in love. Fallen in love with some espresso cups. These are no ordinary tiny cups and saucers, though, as they come decorated in the style of retro cycling teams. We got hold of the Renault-Elf and La Vie Claire sets from Cycling Souvenirs. Both were finished to a very high standard and the team logos and colours look very authentic, which will please the purists. 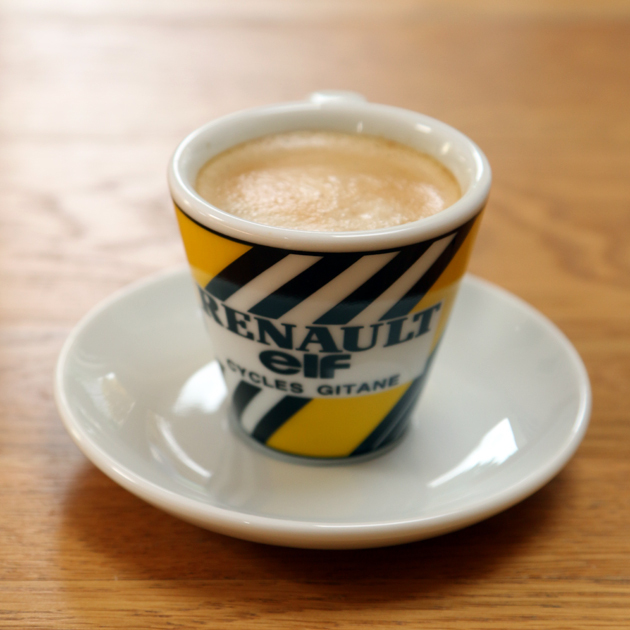 The cups are also available in the iconic livery of the Molteni, Brooklyn, Cafe de Colombia, Peugeot, Systeme U and Z squads. Individual cup and saucer sets cost £12, or you can buy a set of four for £45, or set of six for £65. This compares favourably to plain white, undecorated espresso cups of a similar quality. Cycling Souvenirs also do a range of other espresso cups, and all manner of unique cycling-themed gifts to solve that age-old problem of what to buy the cycling fan that has (almost) everything. 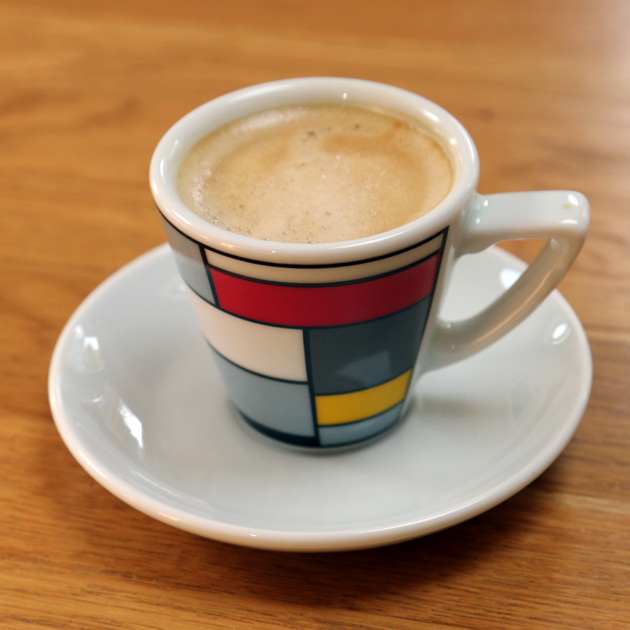 We took a look at the company’s Spring Classics espresso cups in May.